STUDIO KAST was recently part of an exciting new project commissioned by Kendall College, a cookbook design that featured recipes from their outstanding and talented faculty chefs. Sharing Our Global Passion highlights 22 faculty chefs and their signature dishes that showcase their personal influences and inspirations. The recipes ranged from savory bread dishes to complex and masterful desserts, all of which demonstrates the incredible expertise of each chef. News about the cookbook has quickly spread and has thrilled many Chicagoans and foodies worldwide. DNAinfo Chicago published a story and radio discussion about Sharing Our Global Passion, Kendall College’s first faculty inspired cookbook. The cookbook was also featured in The National Culinary Review June 2014 issue as well as many other publications. To support Kendall College and to purchase Sharing Our Global Passion, please visit the Kendall College website. 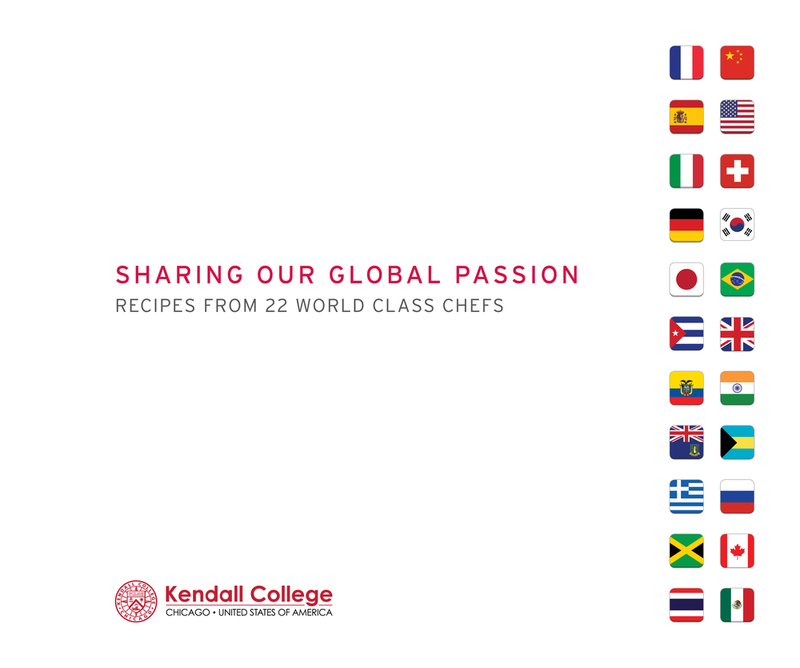 We are very proud of the Sharing Our Global Passion cookbook and are excited to be a part of a first in Kendall College’s history. This was a highly rewarding and fun project for us and we look forward to many more projects to come. CONGRATULATIONS TO THE ALZHEIMER'S ASSOCIATION® ON ANOTHER SUCCESSFUL ALZHEIMER'S ASSOCIATION INTERNATIONAL CONFERENCE®!